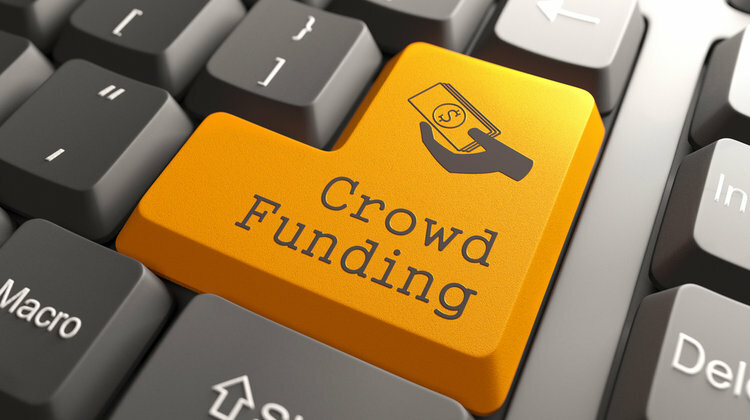 Home > ecommerce > Top 5 Crowdfunding Campaigns – Where Are They Today? Since its establishment back in 2009, Kickstarter has been a level playing field where good ideas can find people with the funding to help make those ideas a reality. 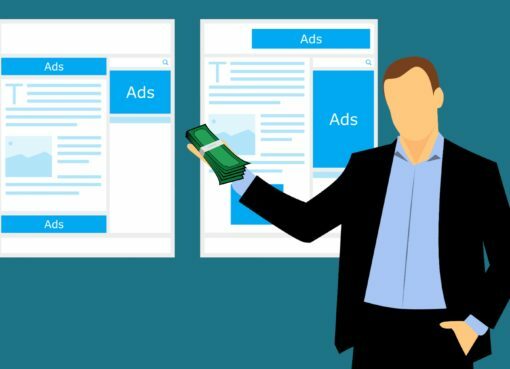 Although the crowdfunding headlines seem to have died down a bit, however that doesn’t mean there is actually a decline in the arena itself. 84,652 projects were successfully funded on Kickstarter alone. So the numbers seem to be on the rise, but what about all the success stories? Who are they and where are they now? 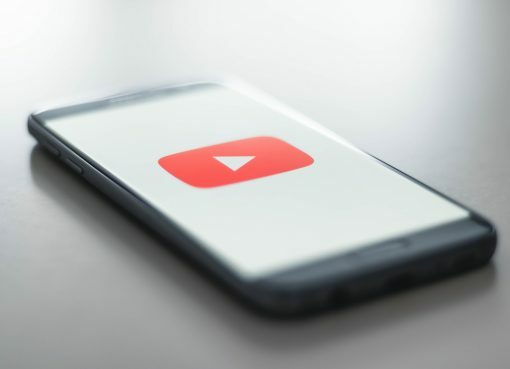 Entrepreneur did an expose calling out the top successes and what they are currently up to. Below are the top 5. Palo Alto based smartwatch maker Pebble earned its entrepreneurial wings back in 2012 with it’s record breaking Kickstarter campaign. Not only is the company’s latest Pebble Time watch the most funded in Kickstarter history, but it’s also holds the title for the fastest funded. 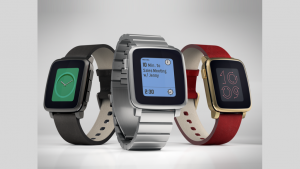 Pebble raised a whopping $1 million in less than an hour. Pebble went on to raise a total of $20,338,986 (4,067 percent of the original set goal). Today: Since it’s launch three of so years ago, the company has been working on perfecting the hardware. They have upgraded the interface, added a Gorilla Glass lens and extended the battery life to 10 days. 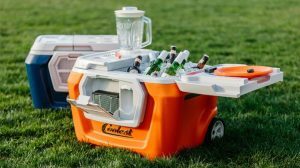 Today: The innovative handy coolers are selling on both the Coolest Cooler’s website and via Amazon. You can get them in a variety of colors, but they all come with the coolest of technologies for a cooler: built in blender, bluetooth speakers, usb charger, LED lid light, bottle opener, and more. We all remember the popular children’s tv show that wall pulled off the air in 2006 after a 23 year run. Well at least I remember it. 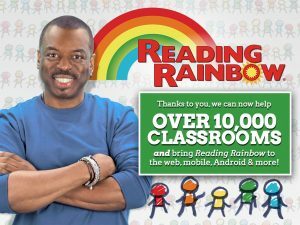 In 2012 host LeVar Burton took to Kickstarter to fund an iPad and Kindle Fire interactive reading “virtual field trip.” It hit 540% of it’s funding goal and raised $5,408,916. Today: Skybrary, comes as a subscription package. For $50 a year children from all over the world have access to a library or children’s books. Kinda like Amazon Prime for young readers. The teen detective story went off the air in 2007 after only three seasons, but fans wanted more. Series creator Rob Thomas started a Kickstarter campaign to fund a Veronica Mars movie. It raised $5,702,153 on April 12, 2013. Today: The film premiered at the 2014 South by Southwest film festival and went on to gross $3,485,127. Music legend Neil Young came up with Pono – a device that promised to play your music how it was intended to be heard. Pono raised $6,225,354, or 778% of its funding goal, on April 15, 2015. 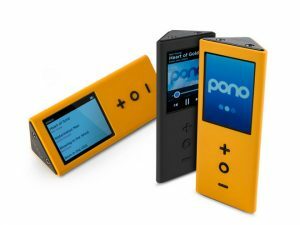 Today: The $399 Pono player came up a little short in it’s delivery of stellar music. The player commanded a premium price for an increase in music quality that just wasn’t all that noticeable to the average listener. Notable mention: I simply can’t leave out the Potato Salad campaign. The campaign centered around a guy that stated he was “basically making potato salad.” The guy was ohio-based developer Zack Danger Brown. 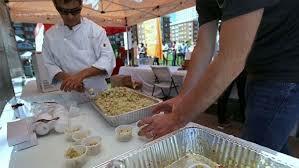 The campaign raised more than $55,000 for his “potato salad” project with nearly 7,000 people pledging donations. All the proceeds went to the Columbus Foundation, which fights to end homelessness and hunger in central Ohio. Affiliate Summit East 2017 – Are you going?